Chief Minister Naveen Patnaik today spoke to Union Human Resources Development Minister Prakash Javadekar about the "agony" of students over several discrepancies in the CBSE results. Bhubaneshwar: Chief Minister Naveen Patnaik today spoke to Union Human Resources Development Minister Prakash Javadekar about the "agony" of students over several discrepancies in the CBSE results. Javadekar has assured to depute another high level team to resolve the matter, an official release issued by the CMO said. 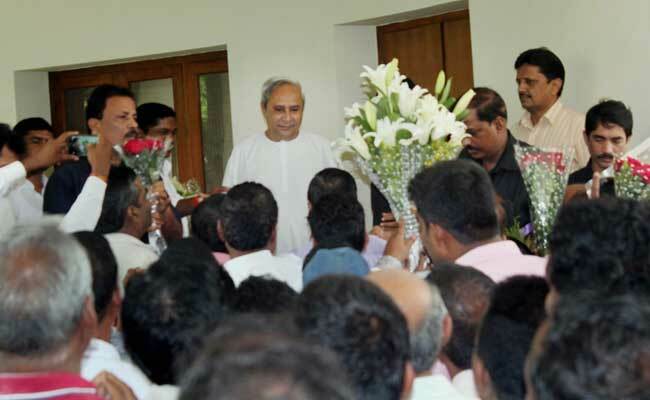 The students and their parents had met Patnaik at the state secretariat yesterday and urged his immediate intervention into the CBSE XII results. Scores of students from schools under the Bhubaneswar region of the CBSE have alleged that they had secured poor marks due to faulty evaluation, while many others claimed their results were withheld without citing any reason. Concerned over the manner in which the CBSE XII Board results were announced, Patnaik had yesterday sent a letter to Javadekar seeking his intervention for providing relief to the affected students and parents. Union Petroleum Minister Dharmendra Pradhan had also met the aggrieved students yesterday and taken up the matter with Javadekar for an early solution. Though a two-member team of officials of CBSE visited Bhubaneswar yesterday they could not resolve the matter. They had, however, assured the agitating students to resolve the issue within 15 days.